O Blog Respirando Melhor tem como objetivo disseminar informações sobre o treinamento muscular respiratório (TMI) e demais assuntos sobre respiração. We tested the hypothesis that inspiratory muscle loading could result in exaggerated peripheral vasoconstriction in resting and exercising limbs and that inspiratory muscle training (IMT) could attenuate this effect in patients with chronic heart failure (CHF) and inspiratory muscle weakness. Inspiratory muscle training improves functional capacity of patients with CHF, but the mechanisms of this effect are unknown. Eighteen patients with CHF and inspiratory muscle weakness (maximal inspiratory pressure 70% of predicted) and 10 healthy volunteers participated in the study. Inspiratory muscle loading was induced by the addition of inspiratory resistance of 60% of maximal inspiratory pressure, while blood ﬂow to the resting calf (CBF) and ex- ercising forearm (FBF) were measured by venous occlusion plethysmography. For the patients with CHF, blood ﬂow measurements as well as ultrasound determination of diaphragm thickness were made before and after a 4-week program of IMT. With inspiratory muscle loading, CHF patients demonstrated a more marked reduction in resting CBF and showed an attenuated rise in exercising FBF when compared with control subjects. After 4 weeks of IMT, CHF patients presented hypertrophy of the diaphragm and improved resting CBF and exercise FBF with inspiratory muscle loading. Patients with chronic heart failure (CHF) might present decreased strength and endurance of the inspiratory mus- cles, which are currently recognized as factors implicated in their limited exercise response and quality of life as well as in their poor prognosis (1). We and others have shown that inspiratory muscle training (IMT) results in improvement in inspiratory muscle strength, functional capacity, ventilatory response to exercise, recovery oxygen uptake kinetics, and quality of life of patients with CHF and inspiratory muscle weakness (2– 4). The mechanisms responsible for these effects, however, have not been elucidated. In a series of experiments conducted in healthy individ- uals, Dempsey et al. (5–7 ) demonstrated that fatiguing contractions of the inspiratory muscles and the consequent accumulation of metabolic products activate type IV phrenic afferents, resulting in pronounced increase in sympathetic vasoconstrictor activity (8 –11). This mechanism, named inspiratory muscle metaboreﬂex, is thought to be particu- larly important during sustained heavy intensity exercise in healthy humans, where it modulates the competition for blood ﬂow between the respiratory and working locomotor muscles (5,9 –11). In accordance with this hypothesis, Miller et al. (12) demonstrated, in a canine model of pacing-induced heart failure, that respiratory muscle metaboreflex is tonically active during submaximal exercise, persistently stealing blood from locomotor muscles. In humans, however, there is still no information concerning the activity of the inspiratory muscle metaboreflex in CHF. Patients with CHF might present abnormalities of peripheral circulatory control and regulation that might contribute to their limited functional capacity (13,14). Accordingly, 1 potential explanation for the observed benefits of IMT could be an attenuated activity of the inspiratory muscle metaboreflex in patients with CHF, which would improve blood flow to peripheral muscles, as has been previously demonstrated in healthy individuals (15,16). Therefore, the present study was conducted to evaluate the effects of inspiratory loading on blood flow of resting and exercising limbs in patients with CHF and inspiratory muscle weakness. We also tested the hypothesis that selective IMT could attenuate peripheral vasoconstriction during inspiratory loading to resting and exercising limbs. Patients and control subjects. Eighteen patients with a previous history of stable symptomatic heart failure due to left ventricular systolic dysfunction (left ventricular ejection fraction 40%), with inspiratory muscle weakness (maximal static inspiratory pressure [PImax] 70% of the predicted ) and without history of pulmonary disease or angina, were recruited for the study. In our outpatient clinic of patients with CHF due to left ventricular systolic dysfunction, the prevalence of inspiratory muscle weakness is approximately 30% (2). A group of 10 individuals with normal medical history and physical examination as well as with normal resting and exercise electrocardiograms served as the control group. The protocol was approved by the Committee for Ethics in Research of the Hospital de Clı´nicas de Porto Alegre, and all individuals signed an informed consent form. Protocol. Patients and control subjects came to the laboratory on separate days for maximal inspiratory pressure assessment, performance of cardiopulmonary exercise testing, ultrasonographic determination of diaphragm thickness, and induction inspiratory muscle metaboreflex to resting calf and to exercising forearm. The CHF patients also repeated maximal inspiratory pressure assessment, determination of diaphragm thickness, and induction inspiratory muscle metaboreflex to resting calf and to exercising forearm after 4 weeks of IMT. After training, all testing was performed with the same absolute inspiratory pressure used in the pre-training protocols. Maximal inspiratory pressure. The PImax was obtained with a pressure transducer (MVD-500 V.1.1 Microhard System, Globalmed, Porto Alegre, Brazil) connected to a system with 2 unidirectional valves (DHD Inspiratory Muscle Trainer, Chicago, Illinois), as previously described (2). Cardiopulmonary exercise testing. The maximal incremental exercise test was performed on an electrically braked cycle ergometer (ER-900, Ergoline, Jaeger, Würzburg, Germany) with minute increments of 10 W for CHF patients and 15 W for healthy individuals. Subjects were instructed to maintain a pedaling frequency of 60 rpm. During the test, gas exchange variables were measured breath-by-breath by a previously validated system (Metalyzer 3B, CPX System, Cortex, Leipzig, Germany ). Heart rate (HR) was determined from a 12-lead electrocardiogram. Diaphragm thickness. In patients and control subjects, B-mode ultrasonography (EnVisor C, Philips, Bothell, Washington) with a 12.0-MHz ultrasound probe (L12-3, Philips) was used to image the diaphragm in the zone of apposition, the vertical section that lies against the lateral portion of the right ribcage, with the method described by Wait et al. (18). Measurements were obtained at endinspiration (Tdi) and end-expiration (Tde) to calculate relative fractional thickness (TFrel [Tdi Tde]/Tdi) at functional residual capacity. Induction of the inspiratory muscle metaboreflex. To induce the inspiratory muscle metaboreflex, patients had a nose clip in place (PK Morgan, Ltd., Gillingham, United Kingdom) and breathed continuously into a 2-way Lloyd valve (Warren E. Collins, Inc., Braintree, Massachusetts) with low resistance ( 1.5 cmH2O at 3 l/s) connected to an inspiratory resistance obtained by a Threshold Inspiratory Muscle Trainer (Healthscan Products Inc., Cedar Grove, New Jersey) for loads of 7 to 41 cmH2O or to a POWERbreathe Inspiratory Muscle Trainer (Southam, United Kingdom) for higher inspiratory pressures. Throughout each protocol, inspiratory pressure was continuously measured by a temperature-compensated and calibrated electronic pressure transducer (Silicon Pressor Sensor, MPX5050, Motorola, Denver, Colorado) and displayed on a computer monitor to the patient and investigator. The 10-point Borg scale (19) was used to access inspiratory effort at task failure. Each patient and control subject participated in 2 experiments separated by a 30-min interval. Initially, inspiratory muscle metaboreflex was induced to evaluate blood flow responses to the resting calf and, subsequently, to the exercising forearm. For each of these experiments, individuals were assigned to inspiratory muscle loading (60% of PImax) or to placebo inspiratory muscle loading (2% of PImax), in random order. Throughout protocols, all individuals maintained a breathing frequency (fb) of 15 breaths/ min 1 and duty cycle (TI/TTOT) of 0.7, by listening to a computer-generated audio signal with distinct inspiratory and expiratory tones. After baseline measures, individuals started breathing against the pre-defined inspiratory resistance of 60% of PImax and continued until task failure, defined as a reduction of PI to 80% of the prescribed during 3 consecutive breaths (20). For the experiments with inspiratory resistance of 2% of PImax, measures were interrupted at 3 min. forearm was initially measured with a hand dynamometer (Kratos, DLC, Cotia, Brazil). Forearm exercise consisted of repetitive maximal voluntary contractions on the hand dynamometer maintained for 10 s and released for 30 s until task failure or for 12 repetitions. Task failure was defined as the time at which the subject could no longer sustain the force within 5% of the target level for more than 2 s. During the relaxation phase, FBF was measured (21) and all patients were provided verbal encouragement throughout the isometric contraction in order to maintain handgrip force at target. Ventilatory and hemodynamic measures. During each of the protocols, fb, arterial oxygen saturation via finger oximetry (SpO2), and resting end-tidal partial pressure of carbon dioxide (PETCO2) were measured with oxycapnography (Takaoka Oxicap, São Paulo, Brazil). The HR was monitored by lead II of the electrocardiogram. Mean arterial blood pressure (MAP) was measured on the nondominant arm with an automated sphygmomanometer (Dinamap 1846 SX/P, Critikon, Tampa, Florida), at 1-min intervals. The CBF and FBF were measured by venous occlusion plethysmography (Hokanson, TL-400, Bellevue, Washington) as previously described (21,22). During forearm exercise, the venous cuff was inflated for 25 to 30 s for each flow measurement and then released during handgrip contraction(21). Calf vascular resistance (CVR) and forearm vascular resistance (FVR) were calculated as MAP/CBF and MAP/FVR (21,22). IMT. The CHF patients received IMT for 30 min, 7 times/week, for 4 weeks with the Threshold Inspiratory Muscle Trainer (Healthscan Products Inc.) according to the protocol that has been previously shown to induce marked improvement in inspiratory muscle strength in 4 weeks (2). Statistical analysis. Values are reported as mean SD. Two-tailed unpaired t tests were used to compare differences in patient characteristics and baseline values between the groups, whereas paired t tests were used to compare values before and after IMT in the CHF group. The CHF patients and control subjects had their mean values for respiratory variables, HR, and hemodynamic measures during each of the protocols compared across time with 2-way analysis of variance (ANOVA) with repeated measures on 2 factors (group and time). Two-way ANOVAs with repeated measures on both factors were used to compare these measures across time before versus after IMT in the CHF group. The Pearson correlation coefficient was used to evaluate associations between changes in variables. Significance was accepted when the probability was 0.05.
the change in PImax and the change in diaphragm thickness (Tdi) after IMT (r 0.88; p 0.001). Induction of the inspiratory muscle metaboreflex. For CHF patients and control subjects, Borg scale ratings for inspiratory effort at task failure during induction inspiratory muscle metaboreflex protocol were of 8.5 0.5 for the inspiratory load at 60% of PImax compared with 2.5 0.6 (p 0.05) for the inspiratory load at 2% of PImax. The CHF patients reached task failure of inspiratory effort earlier for the 60% of PImax inspiratory load (333 117 s) than control subjects (410 125 s, p 0.05). After IMT, CHF patients increased time to task failure at 60% of PImax by 30%. resting calf. Inspiratory loading at 60% of PImax resulted in similar increments of HR, fb, and MAP, with reduction in SpO2 and maintenance of constant PETCO2 in both groups. The IMT had no significant effects on these variables. The CBF decreased significantly more in CHF patients, and this effect was attenuated after IMT (Fig. 1). This was due to larger increment in CVR in CHF patients, which was also attenuated after IMT. Effects of inspiratory muscle metaboreflex activation on ventilatory and exercising forearm hemodynamic responses. Time to fatigue during forearm exercise was reduced with inspiratory loading in control subjects (from 304 132 s to 180 60 s, p 0.02) as well as in CHF patients (from 402 112 s to 280 151 s, p 0.01). The IMT improved time to fatigue during forearm exercise with inspiratory loading (from 280 151 s to 437 77 s, p 0.01) in CHF. Table 3 and Figure 2 present ventilatory and hemodynamic responses for CHF patients and control subjects as well as adaptations to IMT for CHF patients in the experiments on the induction of inspiratory muscle metaboreflex to the exercising forearm. Intermittent static handgrip exercise with inspiratory loading after 60% of PImax resulted in similar reduction of HR, whereas PETCO2 was stable (Table 3). The FBF increased during exercise in both groups, but CHF patients showed an attenuated rise, which was partially corrected after IMT (Fig. 2). In contrast, FVR response to exercise was increased in CHF patients but also improved after IMT (Fig. 2). striction response to inspiratory loading and improves forearm hemodynamic responses to handgrip exercise after inspiratory muscle fatigue in patients with CHF and inspiratory muscle weakness. Overall, this study provides the first evidence of an abnormal activity of the inspiratory muscle metaboreflex in patients with CHF and inspiratory muscle weakness. Inspiratory muscle loading and peripheral vasoconstriction in CHF. To evaluate the effects of inspiratory loading to the point of task failure on calf hemodynamic responses, we employed a protocol similar to that described by Sheel et al. (6). According to these authors, the fatigue trial would cause prolonged ischemia of the diaphragm, thus evoking the respiratory muscle metaboreflex and a consequent sympathetic mediated vasoconstriction in the resting limbs (6,7). In agreement with this concept, healthy subjects demonstrated a small reduction in CBF during loading condition (6,13,23). In contrast, CHF patients exhibited a distinct response, characterized by a premature and greater reduction in blood flow during the fatiguing trial, compatible with an abnormal activity of the inspiratory muscle metaboreflex. The present data extend prior observations of Miller et al. (12) in a canine model of CHF by showing that the ability of inspiratory muscles to “steal” blood flow from locomotor muscles is overactive in animals with CHF. Our results are in agreement with the concept that impaired oxygen delivery to the diaphragm, along with augmented inspiratory muscle work in CHF, would favor the accumulation of local muscle metabolites, such as lactic acid, which activates type IV nerve endings (12), leading to an exaggerated sympathetic mediated vasoconstriction (5,6). Indeed, Mancini et al. (24) had previously shown that patients with CHF present respiratory muscle deoxygenation during maximal exercise on the cycle ergometer. Effect of inspiratory muscle loading on limb hemodynamic response to exercise. Previous work has shown that prior fatigue of the inspiratory muscles influences limb performance during subsequent exercise in healthy individuals (15). In agreement with these findings, time to fatigue during handgrip exercise was significantly reduced in healthy individuals and CHF patients after inspiratory loading when compared with the control task. Of note, however, forearm hemodynamic responses were similar after loaded and control conditions (Fig. 2) in healthy individuals but not in CHF patients. These findings suggest that a reduced time to fatigue after inspiratory muscle loading is less dependent on blood flow responses in healthy individuals than in patients with heart failure, and future studies should address the possible mechanisms responsible for these differential responses. In patients with CHF and inspiratory muscle weakness, prior fatigue of the inspiratory muscles importantly modified forearm hyperemic response to handgrip exercise (Fig. 2). Specifically, FBF remained unchanged during the first minutes of handgrip exercise after inspiratory fatigue, whereas after the control task FBF increased immediately at the beginning of exercise. Thus, possibly inspiratory muscle metaboreflex activation after fatiguing trial and the consequent elevated sympathetic vasoconstrictor activity restricted forearm hyperemic responses to handgrip exercise in these patients (13). Effects of IMT. In a prior report (2), we demonstrated that CHF patients with inspiratory muscle weakness presented major improvements in inspiratory muscle strength after the first 4 weeks of IMT. The present results confirm that this short training protocol is effective, as evidenced by the increment of 72% in the inspiratory muscle strength, but we also demonstrate that this protocol induces marked diaphragmatic hypertrophy, similar to that previously found in healthy subjects (25). Moreover, there was a significant correlation between the change in inspiratory muscle strength and the change in diaphragmatic thickness after IMT. The IMT importantly increased the ventilatory load required to elicit the inspiratory muscle metaboreflex mediated peripheral vasoconstriction in CHF patients, confirming our original hypothesis. These findings are quite similar of those reported by other investigators in healthy subjects (15,16) and underscore the notion that IMT might be associated with reduced accumulation of muscle metabolites during the fatiguing trial, which would explain the attenuated vasoconstriction observed. Moreover, IMT also improved FBF response to intermittent handgrip exercise, with improvement in limb performance in CHF patients, suggesting that inspiratory muscle fatigue is also important for blood flow response to exercise, which might be a determinant in exercise performance in CHF (26). generalized to patients who do not have inspiratory muscle weakness, and future studies are needed to evaluate other patient populations. Likewise, because we studied the hemodynamic responses to forearm exercise, our findings might not necessarily explain the mechanisms responsible for the improvement in functional capacity that is dependent on large locomotor muscles. However, on the basis of experiments in healthy individuals (27), it is likely that the effects might be even more marked when maximal exercise is performed with large muscle groups. Because individuals in the control group were significantly younger than CHF patients, it can be argued that age per se could be a potential confounding factor for the interpretation of the present results. Of note, however, a number of recent studies (28,29) have demonstrated that age does not affect FBF and forearm vascular conductance responses to steady-state dynamic handgrip exercise. Furthermore, as pointed out previously (30), when corrected by the higher baseline levels, older individuals have similar muscle sympathetic nerve activity responses to handgrip exercise as well as preserved sympathetic mediated vasoconstriction in the inactive limbs when compared with young subjects (31). Nevertheless, the effects of age on the respiratory muscle metaboreflex remain to be determined. We did not evaluate muscle sympathetic nerve activity in our patients, but other investigators have demonstrated that exercise-induced diaphragmatic fatigue caused important peripheral vasoconstriction secondary to sympathetic activation (6,8). Finally, in our protocol for induction of inspiratory muscle metaboreflex we did not add CO2 to inspiration, as has been done by others (16), but we found no significant PETCO2 reduction. Acute severe hyperventilation elicits a decrease in CVR and an increase in blood flow (32,33). However, McConnell and Lomax (15) suggested that mild hypocapnia (approximately 30 mm Hg) of the magnitude observed after our inspiratory loading task fails to elicit changes in either FVR or blood pressure. In patients with CHF and inspiratory muscle weakness, the induction of inspiratory muscle fatigue results in marked reduction of blood flow to resting and exercising limbs. Inspiratory muscle training improves limb blood flow under inspiratory loading in these patients, with possible consequences to exercise performance. 1. Meyer FJ, Mathias M, Zugck C, et al. Respiratory muscle dysfunction in congestive heart failure: clinical correlation and prognostic significance. Circulation 2001;103:2153–4. 2. Dall’Ago P, Chiappa GR, Guths H, Stein R, Ribeiro JP. Inspiratory muscle training in patients with heart failure and inspiratory muscle weakness: a randomized trial. J Am Coll Cardiol 2006;47:757–63. 3. Mancini DM, Henson D, La Manca J, Donchez L, Levine S. Benefic of selective inspiratory muscle training on exercise capacity in patients with chronic congestive heart failure. Circulation 1995;91:320–9. 4. Laoutaris I, Dritsas A, Brown MD, Manguinas A, Alivizatos PA, Cokkinos DV. Inspiratory muscle training using an incremental endurance test alleviates dyspnea and improves functional status in patients with chronic heart failure. Eur J Cardiovasc Prev Rehabil 2004;11:489–96. 5. Dempsey JA, Romer L, Rodman J, Miller J, Smith C. Consequences of exercise-induced respiratory muscle work. Respir Physiol Neurobiol 2006;151:242–50. 6. Sheel AW, Derchak PA, Morgan BJ, Pegelow DF, Jacques AJ, Dempsey JA. Fatiguing inspiratory muscle work causes reflex reduction in resting leg blood flow in humans. J Physiol 2001;537:27789. 7. Sheel AW, Derchak PA, Pegelow DF, Dempsey JA. Threshold effects of respiratory muscle work on limb vascular resistance. Am J Physiol Heart Circ Physiol 2002;282:H1732–8. 8. St Croix CM, Morgan BJ, Wetter TJ, Dempsey JA. Fatiguing inspiratory muscle work causes reflex sympathetic activation in humans. J Physiol 2000;529:493–504. 9. Harms CA, Babcock MA, McClaran SR, et al. Respiratory muscle work compromises leg blood flow during maximal exercise. J Appl Physiol 1997;82:1573–83. 10. Harms CA, Wetter TJ, McClaran SR, et al. Effects of respiratory muscle work on cardiac output and its distribution during maximal exercise. J Appl Physiol 1998;85:609–18. 11. Harms CA, Wetter TJ, St Croix CM, Pegelow DF, Dempsey JA. Effects of respiratory muscle work on exercise performance. J Appl Physiol 2000;89:131–8. 12. Miller JD, Smith CA, Hemauer SJ, Dempsey JA. The effects of inspiratory intrathoracic pressure production on the cardiovascular response to submaximal exercise in health and chronic heart failure. Am J Physiol Heart Circ Physiol 2007;292:H580–92. 13. Zelis R, Flaim SF. Alterations in vasomotor tone in congestive heart failure. Prog Cardiovasc Dis 1982;24:437–59. 14. Duscha BD, Schulze PE, Robbins JL, Forman DE. Implications of chronic heart failure on peripheral vasculature and skeletal muscle before and after exercise training. Heart Fail Rev 2008;13:21–37. 15. McConnell AK, Lomax M. The influence of inspiratory muscle work history and specific inspiratory muscle training upon human limb muscle fatigue. J Physiol 2006;577:445–57. 16. Witt JD, Guenette JA, Rupert JL, McKenzie DC, Sheel AW. Inspiratory muscle training attenuates the human respiratory muscle metaboreflex. J Physiol 2007;584:1019–28. 17. Meyer T, Georg T, Becker C, Kindermann W. Reliability of gas exchange measurement from two different spiroergometry systems. Int J Sports Med 2001;22:593–7. 18. Wait JL, Nahormek PA, Yost WT, Rochester DP. Diaphragmatic thickness-lung volume relationship in vivo. J Appl Physiol 1989;67: 1560–8. 19. Hamilton AL, Killian KJ, Summers E, Jones NL. Muscle strength, symptom intensity, and exercise capacity in patients with cardiorespiratory disorders. Am J Respir Crit Care Med 1995;152:2021–31. 20. American Thoracic Society/European Respiratory Society. Statement on respiratory muscle testing. Am J Respir Crit Care Med 2002;166: 518–24. 21. Arnold JM, Ribeiro JP, Colucci WS. Muscle blood flow during forearm exercise in patients with severe heart failure. Circulation 1990;82:465–72. 22. Roseguini BT, Alves CN, Chiappa GR, Stein R, Knorst MM, Ribeiro JP. Attenuation of muscle metaboreflex in chronic obstructive pulmonary disease. Med Sci Sports Exerc 2008;40:9–14. 23. Dempsey JA. Challenges for future research in exercise physiology as applied to the respiratory system. Exerc Sport Sci Rev 2006;34:92–8. 24. Mancini DM, Ferraro N, Nazzaro D, Chance B, Wilson JR. Respiratory muscle deoxygenation during exercise in patients with heart failure demonstrated by near-infrared spectroscopy. J Am Coll Cardiol 1991;18:492–8. 25. Enright SJ, Unnithan VB, Heward C, Withnall L, Davies DH. Effect of high-intensity inspiratory muscle training on lung volumes, diaphragm thickness, and exercise capacity in subjects who are healthy. Phys Ther 2006;86:345–54. 26. Myiazaki A, Adachi H, Oshima S, Taniguchi K, Hasegawa A, Kurabayashi M. Blood flow redistribution during exercise contributes to exercise tolerance in patients with chronic heart failure. Circ J 2007;71:465–70. 27. Wetter TJ, Harms CA, Nelson WB, Pegelow DF, Dempsey JA. Influence of respiratory muscle work on VO2 and leg blood flow during submaximal exercise. J Appl Physiol 1999;87:643–51. 28. Jasperse JL, Seals DR, Callister R. Active forearm blood flow adjustments to handgrip exercise in young and older healthy men. J Physiol 1994;474:353–60. 29. Schrage WG, Eisenach JH, Joyner MJ. 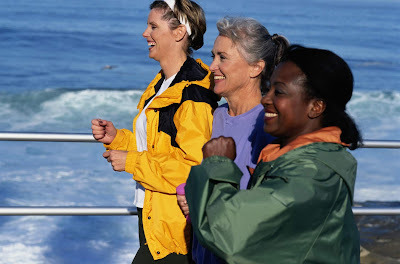 Ageing reduces nitric-oxideand prostaglandin-mediated vasodilatation in exercising humans. J Physiol 2007;579:227–36. 30. Ng AV, Callister R, Johnson DG, Seals DR. Sympathetic neural reactivity to stress does not increase with age in healthy humans. Am J Physiol 1994;267:H344–53. 31. Roseguini BT, Alves CN, Chiappa GR, Stein R, Ribeiro JP. Muscle metaboreflex contribution to resting limb haemodynamic control is preserved in older subjects. Clin Physiol Funct Imaging 2007;27: 335–9. 32. Steurer J, Kaplan V, Vetter W, Bollinger A, Hoffmann U. Local blood flux in skin and muscle during voluntary hyperventilation in healthy controls and patients with hyperventilation syndrome. Int J Microcirc Clin Exp 1995;15:277–82. 33. Coffman JD, Kelly P. Hyperventilation and human calf blood flow. Am J Physiol 1966;211:1255–60. 1 Graduate candidate of the Master’s Program in Rehabilitation Science at UNISUAM (Augusto Motta University Center), Brazil. Background: Inspiratory muscle training (IMT) is an important method of attenuating both respiratory and peripheral effort perceptions, consequently improving neuromuscular performance and resulting in greater improvements in exercise capacity than with exercise training alone. Objective: The aim of this study was to investigate the effects of IMT on exercise tolerance, repeated sprint ability (RSA) performance, maximal inspiratory pressure (MIP) and peak inspiratory flow (PIF) in a cohort of professional male soccer players. 30 self-paced inspiratory breaths (each to 50% maximal static inspiratory pressure [P0]) in the 1-and 2-week intervention period, respectively. IMT was performed prior to soccer training (1 sets.d-1; 6 d.wk-1) with repeated sprint ability (RSA) assessed pre- and post the 2-week period of IMT. Results: Statistical analyses identified a significant (p<0.001) decrease in sprint time post-IMT. Additionally, RSAbest, RSAmean, total sprint time and percentage of RSA performance decrement (RSA % dec) also showed significant decreases (p<0.0001) post- IMT.Additional measures including MIP and PIF werealso significantly elevated (p<0.0002)following the 2-week period of IMT. Conclusion: In conclusion, our results raise two important issues. Firstly, IMT demonstrated enhanced inspiratory muscle strength in professional soccer players. Secondly, this increase in inspiratory muscle efficiency led to a decrease in sprint time and improved exercise tolerance. We recommend that a standard training protocol be developed and tested in an experimental and control group with a large representative sample. Key-words: Inspiratory muscle training; repeated sprint ability test; soccer players. Soccer matches are characterized by high-speed running while dribbling, passing, kicking or throwing the ball, with players required to make quick, precise movements, actions requiring multi-directional deceleration and acceleration, in addition to rapid changes of direction, all placing high demands on several physical components (Spencer et al., 2005; Maior et al., 2017). Execution of high-intensity, intermittent endurance and repeated-sprints actions incur high demands upon both aerobic and anaerobic metabolism, therefore professional soccer players must have the capacity to cope with these demands in order to maintain optimal performance (Spencer et al., 2005). Increased ventilatory demands during exercise stimulate increased neural drive to the respiratory muscles, consequently promoting an increase in mechanical power developed by the inspiratory muscles (Butler et al., 2014). Thus, the development of new methods of training applied to performance could potentially improve neuromuscular responses and respiratory capacity, augmenting overall exercise tolerance. Inspiratory muscle training (IMT) is method of training which applies additional load to the diaphragm and accessory inspiratory muscles with the aim of enhancing their strength and endurance (Butler et al., 2014; Verges et al., 2007; Callegaro et al., 2011; Guy et al., 2014). Studies report IMT as a useful method to attenuate both respiratory and peripheral effort perceptions, consequently improving neuromuscular performance and resulting in greater improvements in exercise capacity than with exercise training alone (Archiza et al., 2018; Guy et al., 2014). Greater improvements are evident in less fit individuals and in those participating in sports of longer durations (Illi et al., 2012). Peripheral muscle aerobic adaptations may affect repeated sprint ability (RSA) performance, which is a crucial fitness component for soccer players due to its involvement in many decisive activities during a soccer match, such as sprinting, accelerations, decelerations, and changes of direction (Archiza et al., 2018; Guy et al., 2014). A recent study showed that IMT aided the supply of oxygen and blood to limb muscles during sprint performance in professional female soccer players (Archiza et al., 2018). However, some studies suggest IMT may be beneficial for soccer players to improve their maximal inspiratory pressure but not the ability to tolerate high intensity exercise (Guy et al., 2014; Ozmen et al., 2017). Results from the existing scientific literature are contradictory, and there is apaucity of evidence relating to IMT and RSA for high performance in male soccer players. Thus, the aim of this study was to investigate the effects of IMT on exercise tolerance, repeated sprint ability (RSA), maximal inspiratory pressure (MIP) and peak inspiratory flow (PIF) in professional male soccer players. It was hypothesized that inspiratory muscle fatigue in the respiratory musculature, exercise tolerance, and sprint time would improve following IMT. The study included 22 healthymaleprofessional soccer players (18.3 ± 1.4 years; 174.5 ± 6.1 cm; 70.5 kg ± 4.6 kg; body fat 10.1 ± 4.2 %) from a club of the Brazilian first division soccer league participating in national competitions organized by the Brazilian Soccer Confederation (CBF). The players’ training frequency was 6.2 ± 0.7 days/week, with training programs consisting of jumps, contesting possession, sprints, resistance training, accelerations and decelerations. Exclusion criteria included: 1) smoking history during the previous 3 months, 2) presence of any cardiovascular or metabolic disease, 3) systemic hypertension (≥ 140/90 mmHg or use of antihypertensive medication), 4) use of anabolic steroids, drugs or medication with the potential to impact physical performance (self-reported), or 5) recent musculoskeletal injury, 6) symptoms of pain in any region of the body. The study was approved by the local institutional Ethics Committee for Human Experiments and was performed in accordance with ethical standards in sport and exercise science research (CAE:76189817.0.0000.5235). All data collection was carried out at the beginning of training sessions during preseason. Body composition was assessed via bioelectrical impedance analysis using a device with built-in electrodesfor the hands and feet (InBody 720). Subjects wore their normal indoor clothing and were instructed to stand barefoot in an upright position with both feet on two separate electrodes on the surface of the machine, with arms abducted and hands gripping two electrodes fixed within the surface of two handles. All analyses were performed after an 8-hour fast. All biometric measures were undertaken in an acclimatized room (21o C). No clinical problems occurred during the study. Respiratory muscle strength was tested through a single point of maximal pressure development at the mouth using portable handheld devices (POWER Breathe KH1 INSPIRATORY METER; Gaiam). Three trials were performed for each, with the best result recorded for analysis. Inspiratory muscle assessments were used to measure maximal inspiratory pressure (MIP) and peak inspiratory flow (PIF). The testing procedure for MIP assessment in the present study strictly followed the American Thoracic Society (ATS)/European Respiratory Society (ERS) guidelines for the testing of volitional respiratory muscle strength (American Thoracic Society/European Respiratory Society, 2002). In accordance with these guidelines, nose clips were used at all times, subjects were seated during each assessment and verbal encouragement was provided for subjects to perform maximal MIP and PIF efforts. After baseline assessment (pre-training) all subjects were instructed to use the handheld pressure threshold breathing device (POWER breathe International Ltd, Warwickshire, United Kingdom) in the morning before soccer training (1 sets.d-1; 6 d.wk-1). The IMT protocol consisted of 15 and 30 self-paced inspiratory breaths (each to 50% maximal static inspiratory pressure [P0]) in the 1-and 2-week intervention periods, respectively. Post-training testing occurred 2 weeks after baseline and involved an identical testing battery. All data are presented as mean ± SD. Statistical analysis was initially performed using the Shapiro–Wilk normality test and the homocedasticity test (Bartlett criterion). Comparisons between RSA sets pre- and post-training were performed by two-way ANOVA with Bonferroni post-hoc tests. A Student’s t-test was used to assess differences within conditions (pre vs. post-IMT) for variables of the RSA test, MIP, and PIF. Additionally, the magnitude of effect sizes (ES; the difference between pretest and posttest scores divided by the pretest SD) was calculated from the scale proposed by Rhea (Rhea, 2004), for RSA best, RSA mean, RSA % dec, TTS, SPEED (m/s) and SPEED (km/h). The level of significance for all statistical comparisons was set at p<0.05 using GraphPad® (Prism 6.0, San Diego, CA, USA) software. Two-way ANOVA (Figure 1) demonstrated a significant decrease (p<0.001) in sprint times for all sets when comparing pre- to post- IMT. Likewise, Table 1 shows significant decreases in sprint times and the percentage decrement in RSA performance post-training. In addition, sprint speed increased significantly at post-training when compared to pre-training (P<0.0001). The ES statistics pre- and post-training presentlarge values for RSA best, RSA mean, TTS, and SPEED (m/s and km/h) with a moderate effect for RSA % dec (table 1). Figure 1.Mean ± SD values from pre- and post-inspiratory muscle training during six sets of repeated sprints in professional soccer players. IMT= Inspiratory muscle training; *p<0.001 – pre vs. post-IMT. Table 1: Performance and respiratory variables of professional soccer players pre- and post-IMT (n = 22). 2A) alongside significantly improved MIP (∆% = 15.4%; Figure 2B) after the 2-week period of IMT. Figure 2. Mean ± SD values from pre- and after the 2-week period of IMT in professional soccer players. PIF= peak inspiratory flow; MIP= maximal inspiratory pressure; IMT= Inspiratory muscle training; *p<0.0002 – pre vs. post-IMT. IMT has been investigated by multiple studies, with inspiratory muscles benefits demonstrated following periods training (Verges et al., 2007; Callegaro et al., 2011; Guy et al., 2014; Archiza et al., 2018). However, few studies have evaluated the effect of IMT on improvements in sprint time and exercise tolerance in professional male soccer players. The results of the present study show significantly increased inspiratory muscle strength (represented by MIP and PIF), exercise tolerance, and sprint speed (m/s and km/h) during post-intervention RSA testing. Furthermore, we observed a decrease in TTS, RSA best, RSA mean, and RSA % dec post-IMT. According to our results and previous studies (IMT = 6 week, 5 days per week and 30 inhalation repetitions), we suggest that IMT has the capacity to attenuate inspiratory muscle metaboreflex and blood lactate accumulation,and to improve oxygenation and blood supply to peripheral muscles during high-intensity exercise in this population (Archiza et al., 2018). In addition, IMT appears to contribute toward increases in inspiratory muscle strength, improvements in cumulative recovery during repeated sprint performance, and enhancements exercise tolerance (Butler et al., 2014; Verges et al., 2007; Callegaro et al., 2011; Guy et al., 2014). Furthermore, chronic IMT over 4-weeks (30 inspiratory efforts at 50% maximal static inspiratory pressure [P0] per set, 2 sets.d-1, 6 d.wk-1) before a 6-week interval training program, and an acute IM warm-up regimen (2 sets of 30 inspiratory efforts at 40% [P0]) before each workout, have the potential to augment exercise tolerance toan interval program by approximately 27% (Tong et al., 2010). MIP is a surrogate measurement for assessing respiratory capacity and inspiratory muscle strength (Butler et al., 2014). Previous studies in younger individuals observed an increase of 14% and 28% in MIP, suggesting neural adaptation, between 1 and 2 weeks post-IMT (Butler et al., 2014; Aznar-Lain et al., 2007). However, it appears that up to 11 weeks of IMTin elite rowers contributes to a 33.9% increase in MIP, but IMT > 11 weeks resulted in a 9.5% decrease in MIP (Klusiewicz et al., 2008). Recreational soccer players practicing IMT twice daily (morning and evening) for 30 self-paced inspiratory breaths across the 6-week intervention period showed a 13.4% increase in MIP post-intervention, associated with improved exercise tolerance and reduced blood lactate, but with no significant change in sprint time (Guy et al., 2014). A recent study observed increases of of 22.5% in MIP and improvements in RSA best performance time after 6 weeks of IMT in elite female soccer players (Archiza et al., 2018). Our results show a15.4% increase in MIP after 2 weeks of IMT, in combination with decreased total sprint times and increases in sprint speed (m/s and km/h). The combinations of these results suggest IMT may have the capacity to increase the strength of the inspiratory musculature and improve sprint performance in male and female professional soccer players, but not in recreational players. It is also noteworthy that the IMT performed for 2-6 weeks resulted in the most beneficial effects. The potential mechanisms by which IMT contributes to skeletal muscle performance are multifactorial and complex, potentially resulting from altered muscle perfusion, substrate transfer, and immunological system adaptation. Thus, IMT elicits a hypertrophic response in the inspiratory muscles, which may contribute to increases in MIP, total lung capacity and spare the O2 and blood- flow requirements of ventilation and offset the metaboreflex, thereby increasing limb O2 delivery (Bailey et al., 2010; Downey et al., 2007). In addition, the reduction in expired minute ventilation during maximal-intensity exercise after IMT might also reduce the metabolic requirements of the inspiratory muscles, result in reduced VO2 slow-component amplitude and delay the recruitment of low-efficiency fibers (Bailey et al., 2010). Some studies highlight the importance of IMT to the immunological system through the concomitant increase of plasma interleukin-1β (IL-1 β) and reduction of plasma interleukin-6 (IL-6) responses to increased respiratory muscle exertion (Mills et al., 2013; Mills et al., 2014). These immunological responses may contribute to glucose uptake in the contracting myocytes, stimulating myogenesis, lipolysis and satellite cell proliferation (Carey et al., 2006; Wolsk et al., 2010; Kharraz et al., 2013). In addition, trunk rotation during changes of direction during the RSA test may contribute greater mechanical effort from parasternal intercostal muscle fibers compared to costal diaphragm fibers (Butler et al., 2014). However, the suggestion that IMT mightin fact limit exercise performance by the development of exercise-induced arterial hypoxemia and from fatiguing levels of respiratory muscle effort should be noted (Chilf et al., 2016). Limitations of our investigation include the participants’ age range and the fact we studied a cohort of well-trained athletes, both of which could influence both performance and inspiratory muscle strength capacity. Whilst our sample was homogenous, the sample size was not substantial enough to provide different inspiratory muscle conditioning programmers to separate sub-groups of professional soccer players, in order to quantify the effects of different protocols on the variables measured. Future investigations should assess tissue oxygenation using near-infrared spectroscopy, coupled with surface electromyography, to further explain the mechanisms underpinning alterations in inspiratory muscle strength following IMT. In conclusion, the combinations of our results contribute to two key findings. Firstly, enhanced inspiratory muscle strength was observed in professional male soccer players after 2 weeks of IMT. Secondly, the increased efficiency of inspiratory musculature contributed to decreases in sprint time and improvements intolerance to intense exercise. However, there is a need for better understanding of the types and models (i.e., fixed vs. variable) of IMT loads used, as well as replicative data to confirm the outcomes of IMT. American Thoracic Society/European Respiratory Society, 2002.ATS/ ERS statement on respiratory muscle testing.Am J RespirCrit Care Med. 166, 518–624. Archiza, B., Andaku, D.K., Caruso, F.C.R., 2018.Effects of inspiratory muscle training in professional women football players: a randomizedsham-controlled trial.J Sports Sci. 36, 771-780. Aznar-Lain, S., Webster, A.L., Canete, S., et al., 2007. Effects of inspiratory muscle training on exercise capacity and spontaneous physical activity in elderly subjects: a randomized controlled pilot trial. Int J Sports Med. 28, 1025–1029. Bailey, S.J., Romer, L.M., Kelly, J, et al., 2010. Inspiratory muscle training enhances pulmonary O(2) uptake kinetics and high-intensity exercise tolerance in humans. J Appl Physiol. 109, 457-468. Butler, J.E., Hudson, A.L., Gandevia, S.C., 2014.The neural control of human inspiratory muscles.Prog Brain Res. 209, 295-308. Callegaro, C.C., Ribeiro, J.P., Tan, C.O., 2011. Attenuated inspiratory muscle metaboreflex in endurance-trained individuals.RespirPhysiolNeurobiol. 177, 24-29. Carey, A.L., Steinberg, G.R., Macaulay, S.L., et al., 2006. Interleukin-6 increases insulin-stimulated glucose disposal in humans and glucose uptake and fatty acid oxidation in vitro via AMP-activated protein kinase. Diabetes. 55, 2688–2697. Chlif, M., Keochkerian, D., Temfemo, A., et al., 2016.Inspiratory muscle performance in endurancetrained elderly males during increme ntal exercise.RespirPhysiolNeurobiol. 228, 61-68. Downey, A.E., Chenoweth, L.M., Townsend, D.K., et al., 2007. Effects of inspiratory muscle training on exercise responses in normoxia and hypoxia. Respir Physiol Neurobiol. 156, 137–146. Gharbi, Z., Dardouri, W., Haj-Sassi, R., 2014. Effect of the number of sprint repetitions onthe variation of blood lactate concentration in repeate d sprint sessions.Biol Sport. 31, 151-156. Guy, J.H., Edwards, A.M., Deakin, G.B., 2014. Inspiratory muscle training improves exercise tolerance in recreational soccer players without concomitant gain in soccer- specific fitness. J Strength Cond Res. 28, 483–491. Illi, S.K., Held, U., Frank, I., 2012. Effect of respiratory muscle training on exercise performance in healthy individuals: a systematic review and meta-analysis. Sports Med. 42, 707-724. Kharraz, Y., Guerra, J., Mann, C.J., et al., 2013. Macrophage plasticity and the role of inflammation in skeletal muscle repair. Mediators Inflamm. 2013, 491-497. Klusiewicz, A., Borkowski, L., Zdanowicz, R., 2008.The inspiratory muscle training in elite rowers.J Sports Med Phys Fitness. 48, 279-284. Maior, A.S., Leporace, G., Tannure, M., et al., 2017.Profile of infrared thermography in elite soccer players.Motriz.23, e101654. Mills, D.E., Johnson, M.A., McPhilimey, M.J., et. al., 2013.The effects of inspiratory muscle training on plasma interleukin-6 concentration during cycling exercise and a volitional mimic of the exercise hyperpnea. J Appl Physiol. 115:1163–1172. Mills, D.E., Johnson, M.A., McPhilimey, M.J., et al., 2014. Influence of oxidative stress, diaphragm fatigue, and inspiratory muscle training on the plasma cytokine response to maximum sustainable voluntary ventilation. J Appl Physiol. 116, 970–979. Ozmen, T., Gunes, G.Y., Ucar, I., 2017. Effect of respiratory muscle training on pulmonary function and aerobic endurance in soccer players.J Sports Med Phys Fitness. 57, 507-513. Rhea, M.R., 2004. Determining the magnitude of treatment effects in strength training research through the use of the effect size. J Strength Cond Res. 18, 918–920. Spencer, M., Bishop, D., Dawson, B., et al., 2005. Physiological and metabolic responses of repeated-sprint activities specific to field based team sports. Sports Med. 35, 1025–1044. Tong, T.K., Fu, F.H., Eston, R., 2010. Chronic and acute inspiratory muscle loading augment the effect of a 6-week interval program on tolerance of high intensity intermittent bouts of running. J Strength Cond Res. 24, 3041–3048. Verges, S., Lenherr, O., Haner, A.C., et al., 2007.Increased fatigue resistance of respiratory muscles during exercise after respiratory muscle endurance training. Am J PhysiolRegulIntegr Comp Physiol. 292, R1246-1253. Wolsk, E., Mygind, H., Grondahl, T.S., et al., 2010. IL-6 selectively stimulates fat metabolism in human skeletal muscle. Am J PhysiolEndocrinolMetab.299, E832–E840. A NCS é uma indústria brasileira, que há 30 anos se orgulha de ser Pioneira e Referência Nacional na fabricação e comercialização de equipamentos para promoção da Saúde, dando, a cada passo da sua história, especial atenção para a disseminação dos benefícios promovidos pelos exercitadores e incentivadores respiratórios. Exportando para todo o mundo, seus produtos e soluções são reconhecidos internacionalmente e amplamente usados e referendados por profissionais da saúde, do esporte, do canto e da música, bem como consumidores com os mais diversos padrões de qualidade e exigência em todo o mundo! NCS do Brasil . Tema Simples. Imagens de tema por ImagesbyTrista. Tecnologia do Blogger.